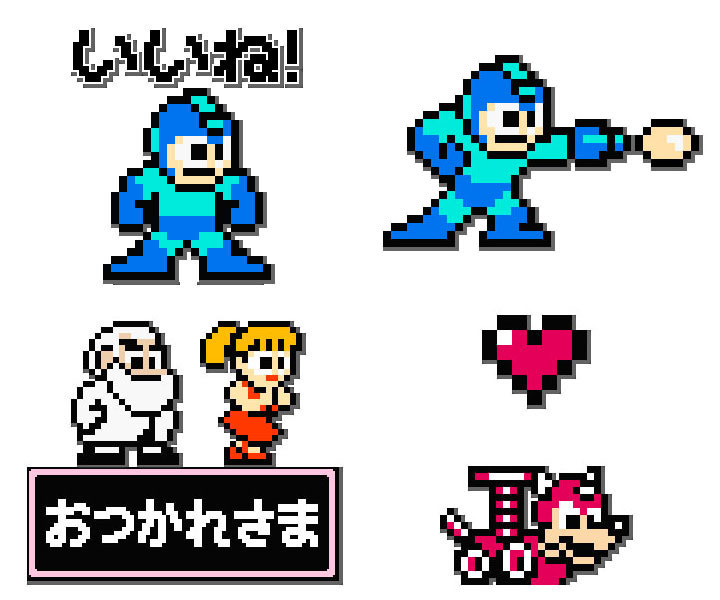 A pack of 8-bit-inspirered Rockman stickers are now available for the LINE social media smartphone app. 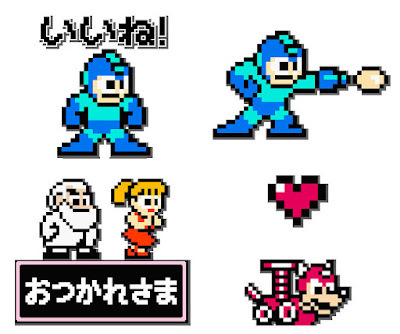 The set includes 24 animated sprites and sounds for a cool 240 yen (about $2.00 US). You can see (and hear) them in action here. Distribution is currently limited to Japanese LINE accounts. However, this page lends credence to international availability soon. UPDATE: For everyone outside Japan, this place is offering the cooler LINE stickers from last year. Thanks, anon!